Ya’ll, I like this book for a lot of reasons, but the biggest one by far is because it feels so familiar to me. And it should. This story takes place in the mountains of Western North Carolina. Although I grew up in the the big city of Charlotte, I spent some times or ten with my family in the mountains and had some extended family who themselves grew up around that area. 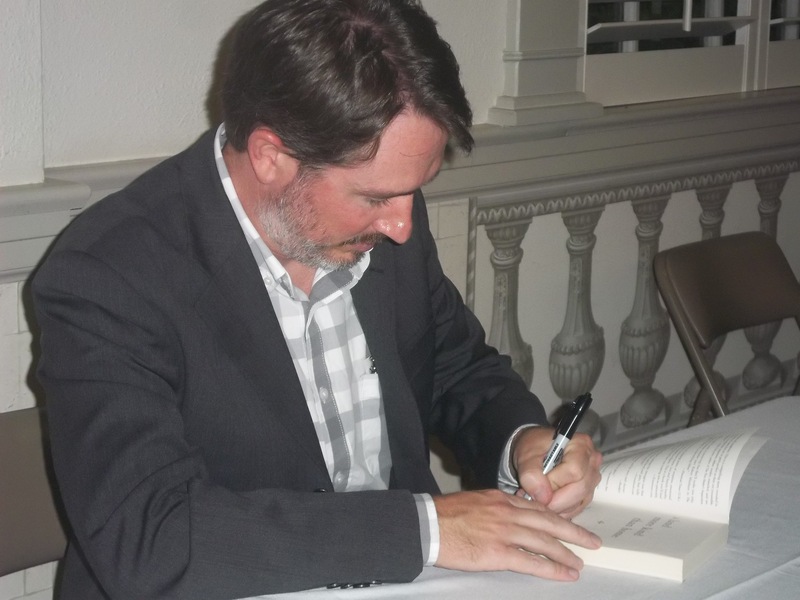 Wiley Cash is a North Carolina writer who knows this state, it’s people, it’s culture and it’s voice. I found his writing and his story to be authentic and believable. I first learned about the book earlier this year when a friend posted about it on facebook. He’s a serious literature/writer/teacher guy so I trust his opinion on what he says is good. I made a mental note. THEN, a couple of months later, I’m on my anniversary weekend with the hubs and we stopped by a bookstore or three, and I bought a copy of it then knowing I would get to it when I finally finished my LOST reading challenge. And THEN, about three months later, Jessica from my book club sent me a link for an author event coming to a local university and guess who it was?? 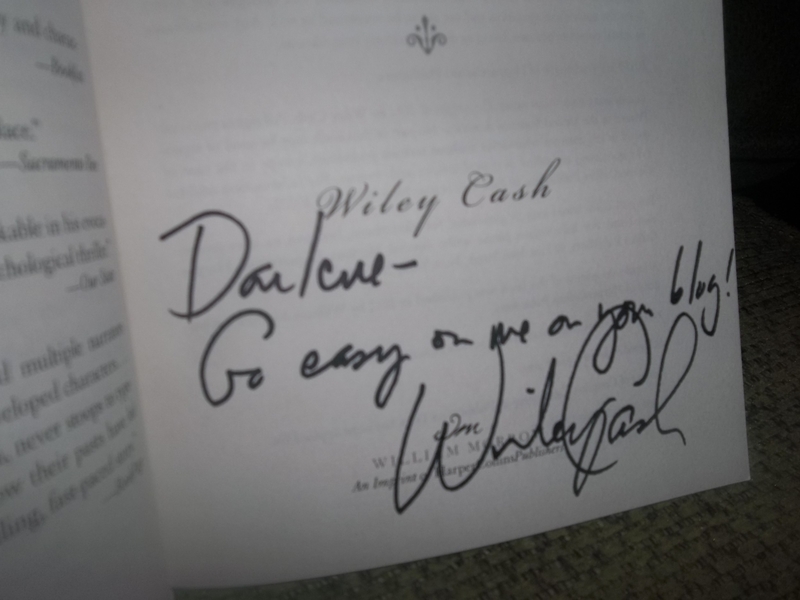 Wiley Cash. And I’m like “DANG! I haven’t read the book yet!” (You guys know I was all tangled up with Charles Dickens for about three months and I just couldn’t get free...Our Mutual Friend was Mucho-Long-o) We went to the event anyway. He was absolutely delightful and entertaining. 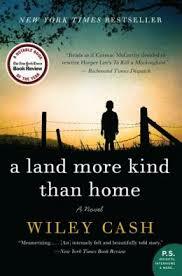 A Land More Kind Than Home is Cash’s first novel. Jess Hall is a little boy who witnesses an unthinkable act. His one reasonable reaction, to call out for his mother, becomes the catalyst for an even more tragic event that follows. Jess is keeping a couple of secrets that he desperately needs to tell but fear and circumstances prevent him from doing so. When the truth finally comes out, more heart ache and destruction ensue and his little life is never the same. This book is reminiscent of A Painted House by John Grisham. It’s been a long time since I read that one, but the heavy burden of secrets the boy in the story carried, the simple-living, country folk and the dark, evil characters that hung around those cotton fields create the same mood for me as A Land More Kind Than Home. There’s a great little section in the back of the book that tells why he loves to write about North Carolina but my favorite part is where he lists the books he was reading while he was writing A Land More Kind Than Home. That’s the kind of thing I like to know anyway, if I have the opportunity to ask. I didn’t have a clue what any of them were, surprise-surprise, but it interests me all the same.